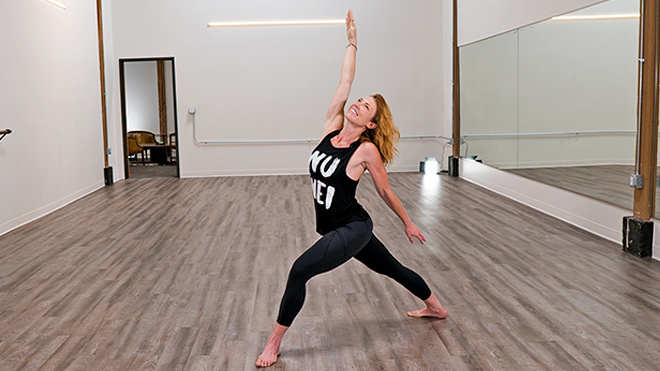 This Movement Medicine Flow is a class designed by movement therapist, Dawnelle Arthur to help heal the body through intentional movement. This class focuses on the hips and shoulders and will help you build strength and increase range of motion. Dawnelle's moto? Wu Wei – Effortless action and beauty in motion. That's what this class is all about. Enjoy. Dawnelle is the creator of the QiFlow® movement method. A movement method that incorporates techniques to increase mobility, build strength, and heal the body. Designed to create beautiful movers who believe that movement is the key to staying, and feeling young. Get ready to use movement to heal your body and stay feeling young.